» What have you done for me lately? 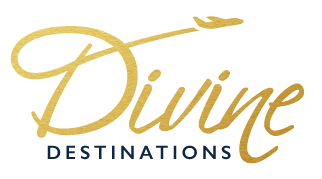 Hi I’m Jen Maki with Divine Destinations. I run an award winning travel agency and for the past 9 years I’ve been traveling the world which allows me to share some travel tips with you. Today’s travel tip is, let the experts do what they do best – get you the best value for your vacation dollar! The package I was able to put together included flights from Duluth, a private transfer which included a driver holding a sign with their name on it which made it super easy to find where to go and saved precious vacation time by getting them to the resort faster, once they got to their resort, a complimentary upgrade was waiting for them along with a bottled of chilled champagne in their room. Because they were celebrating their Honeymoon, they also received breakfast in bed with mimosas, a complimentary candlelit dinner on the beach, a hot bubble bath with sparkling wine and rose petals in the room, a couples massage and late check out the day of departure. The price difference between the two packages wasn’t a lot but it did prove to be a big difference in value. Remember, a cheap price isn’t always a good deal. Your Honeymoon will be your first trip together as Mr/Mrs, so it’s better to leave your special vacation to the experts, after all, this is one trip you will remember the rest of your life. Make it a Divine Destination to remember! Are you ready to get started planning your picture perfect Honeymoon? Go to our website and click on the “Get Started Now” icon on the top right corner. Then fill out the quick and easy travel questionnaire and then set a time where we can chat more about the Honeymoon you’ve always dreamed of. I make dreams come true. Don’t wait – let’s get started today!